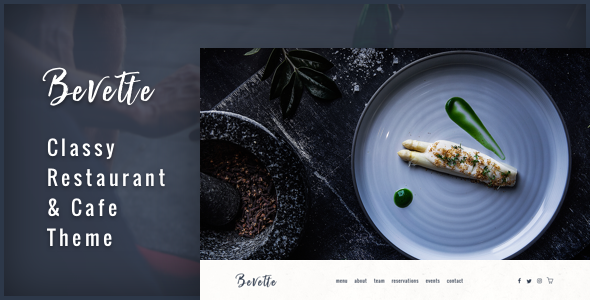 Bevette is a classy & highly functional WordPress theme suitable for any restaurant, cafe, winery, sushi bar, bistro, bar, pub and any other food-related businesses. Bevette is proud of its beautiful design. Theme offers all essential restaurant features such as menu, gallery, blog, contact, team, events and of course an online reservation plugin included. Bevette is all you need to get you started on your restaurant website in a matter of minutes!